Kristi Moore and Rachel Taylor have been named shareholders at Jamison- MoneyFarmer PC. Style Advertising Co-owner and President Bill Stoeffhaas has received the 2018 Silver Medal Award from the American Advertising Federation’s Birmingham chapter. Chris Garner and John Boyer have joined BBB Industries LLC. Garner will serve as executive vice president of sales and Boyer as executive vice president of marketing and product management. 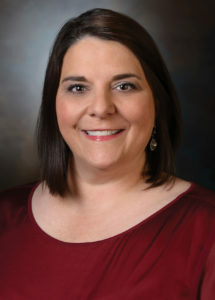 Bryant Bank has appointed Michelle Robinson executive vice president and senior mortgage sales manager for Bryant Bank Mortgage. In addition, Becky Williams has been hired to support the Tuscaloosa market with mortgage lending. Auburn National Bancorporation Inc. has elected Robert Dumas as chairman of the board of director for its subsidiary, AuburnBank. Randall George, president of the Montgomery Area Chamber of Commerce, will retire on April 1 and Anna Buckalew has been elected president and CEO, effective April 2. Doster Construction Co. Vice President of Field Operations Cobey Everett helped Jefferson State Community College and the Associated General Contractors of Alabama set up a 12-month field engineering program. America’s First Federal Credit Union Compliance Specialist III Anna Donaldson was selected by The Cooperative Trust and Credit Union National Association to represent the League of Southern Credit Unions at the Crash the GAC 2019, in Washington D.C.
Birmingham Business Alliance President and CEO Brian Hilson is stepping down for another economic development position within Alabama. In addition, Waymond Jackson, senior vice president of public policy for the BBA, has been selected as a 40 Under 40 Award winner in economic development by Development Counsellors International and Jorgenson Consulting. Tuskegee University has named Lily McNair its eighth president, the first female to serve in this role at the institution. Also, Tameka Angola Harper has joined Tuskegee as its new dean of students. 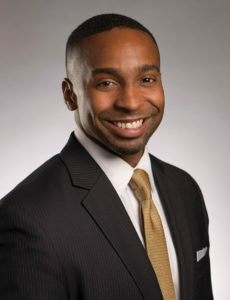 In addition, Tuskegee graduate Barron Witherspoon Sr., a Procter & Gamble executive, has been honored by AACSB International as part of its 2019 Class of Influential Leaders. 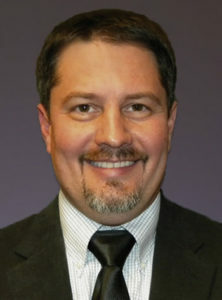 Matthew Reichert has been named assistant vice president for research at the University of South Alabama. Andrea Dennis, principal of Scarborough Model Middle School in Mobile, was recently named Middle School Principal of the Year for Alabama. Steven Theiss has been named chair of the Department of Orthopaedic Surgery at the University of Alabama at Birmingham School of Medicine. In addition, Karen Cropsey, a professor in the Department of Psychiatry and Behavioral Neurobiology has been appointed to the committee on the review of specific programs in the Comprehensive Addiction and Recovery Act for the National Academies of Sciences, Engineering and Medicine. Jerry Hendrix has joined the Rotorcraft Systems Engineering and Simulation Center at the University of Alabama in Huntsville as its director of Unmanned Aerial Systems Programs. Also, Africa Flores, a research scientist in the Earth System Science Center, has received a Microsoft and National Geographic AI for Earth Innovation grant. In addition, Alabama State Climatologist and the Director of the Earth System Science Center John Christy has been appointed to the U.S. Environmental Protection Agency Science Advisory Board. University of North Alabama Cinematic Arts Assistant Professor Michael Curtis Johnson has been selected for the 2019 Berlinale Talents development program. Steve Cope, director of marketing and public relations at Avion Solutions Inc., has retired. Jeff Blackmon will serve as director of business development and Michael Jones was hired as marketing manager. Josh Whaley has been named president of American Fire, a subsidiary of CHA Consulting Inc., and Jennifer Chatt senior vice president of human resources of CHA. The SSI Group has promoted Mark Blossom to chief data operations officer and Will Israel to vice president, enterprise analytics solutions. In addition, the company has named Jay Colfer as its new chief operating officer. Lynn Swink has joined Palomar Insurance as director of personal lines sales. Burr & Forman LLP has named LaTesha Blair chief information officer. Jae Reong “Jael” Kim has been named an associate of Sasser, Sefton & Brown PC. Rebecca Beers has been elected partner at Rumberger, Kirk & Caldwell. Bradley Arant Boult Cummings LLP Partner Brad Robertson has been appointed co-chair of the newly created Emerging Leaders Council of the Legal Services Corp. Also Partner Anna Manasco has been appointed to the board of trustees of Children’s of Alabama. In addition, Partner Hope Thai Cannon has been appointed as a full-time magistrate judge in the Pensacola Division of the U.S. District Court for the Northern District of Florida. Christopher Williams has been promoted to member of the firm of Hand Arendall Harrison Sale LLC. Former Deputy Counsel to the President Annie Donaldson Talley has joined Luther Strange & Associates LLC. Maynard Cooper & Gale has hired Paul Thatcher and Colin Dean. Thatcher, a patent attorney, will work out of the firm’s Huntsville office, while Dean, an associate, will work out of the Birmingham office. Patrick Gray has joined Tanner & Guin LLC. He practices in the areas of civil litigation, commercial litigation and general business law. Jason Guess, Tifton parts manager for Four Star Freightliner, received the Elephant Award at the Elite Support CIC Summit. In addition, Sonny Hartley, Montgomery service advisor, received the achievement award for operational excellence on behalf of the location. O.B. 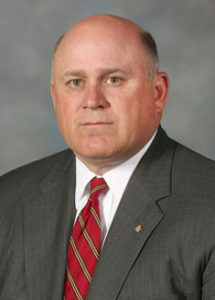 Grayson Hall Jr., retired chairman and CEO of Regions Financial Corp., has been elected to the board of director of Great Southern Wood Holdings Inc.
Drummond Co. Inc. has appointed Nathaniel Drummond to chief commercial officer and president of subsidiary Drummond Coal Sales Inc.
Alabama Coastal Foundation has hired Elizabeth Bevan to serve as biologist to support Share the Beach, Alabama’s sea turtle conservation program. The Alabama Farmers Federation has promoted Preston Roberts to director of agricultural legislation in the governmental and agricultural programs department. He previously served as Area 7 organization director. Taking his place as Area 7 director is Guy Hall, who previously served as commodity director of the poultry, pork and dairy divisions. In addition, Melissa Martin has been promoted to corporate media director with the Federation’s in-house advertising agency, Creative Consultants Inc.
Dewberry has promoted Andy Bobe to senior associate in its Daphne office. Russell Branham, Talladega Superspeedway director of public relations and consumer marketing, received the Ken Patterson Helping Others Award at the 2019 National Motorsports Press Association annual convention. Atlas Senior Living has hired Jennifer Speigner as chief financial officer in Birmingham. NASA has appointed Rhega Gordon to chief financial officer for Marshall Space Flight Center in Huntsville. Command Alkon announced that CTO and Vice President Engineering Charles Evans has been named a finalist for the 2019 Alabama CIO of the Year ORBIE Awards in the Enterprise category. Bryan Metz has been named president of Fontaine Heavy-Haul in Springville. Blair King, manager of economic development and existing industry for Alabama Power, was chosen as a 40 Under 40 award winner in economic development by Development Counsellors International and Jorgenson Consulting.